A six-month-old bear has finally been freed from his painful prison. 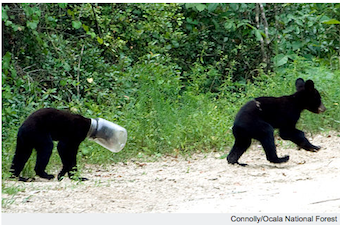 The cub got his head stuck in a plastic jug while rooting around in a trash bin. After 10 days of garbage-induced starvation, the Wildlife commission intervened.